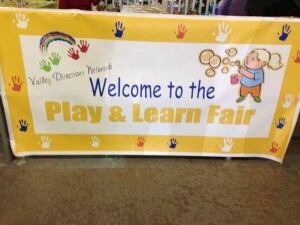 The mission of the Valley Early Childhood Regional Council (VECRC) is to coordinate and promote early care and education throughout the Valley region by engaging families to ensure that all children enter school ready to learn and succeed. Week of the Young Child—The VECRC sponsors a yearly event to coincide with The Week of the Young Child in April. Read Across The Valley—We organize the Read Across The Valley event to promote the importance of early reading with Valley children and families. My First 8 Website—The VECRC launched a website, www.myfirst8.org, to provide the Valley community with updated information on community resources, information, and events related to the care of children from the prenatal period through age 8. The VECRC holds four (4) meetings per year. Representatives from agencies that provide services to Valley children, interested partners, Municipallity Leaders, Education Leaders and others come together to share information, coordinate services and develop additional measures to improve the education and overall well-being of young children in the Valley. The VECRC also serves as the Governance body for Child First, Early Head Start , Valley Family Resource Center, Valley Regional Adult Education and The Diaper Bank. The VECRC grew out of the Health Committee of the Valley Council for Health & Human Services, beginning as the Birth to 8 Subcommittee. In 2005, the name was changed to Early Childhood Taskforce (ECTF) in response to work being done related to School readiness and Discovery funding. As Ansonia, Derby and Shelton developed town community plans for school readiness and Discovery grants, representatives from these committees became a part of the ECTF. In 2017, the Valley’s ECTF and the Ansonia, Derby, Seymour and Shelton School Readiness Councils were merged and the current name was selected.